Alvaro Morata, who has struggled badly for form in 2018, opened the scoring for Chelsea in the quarter-final tie with his fine 42nd-minute strike against Leicester – his first goal since Boxing Day. 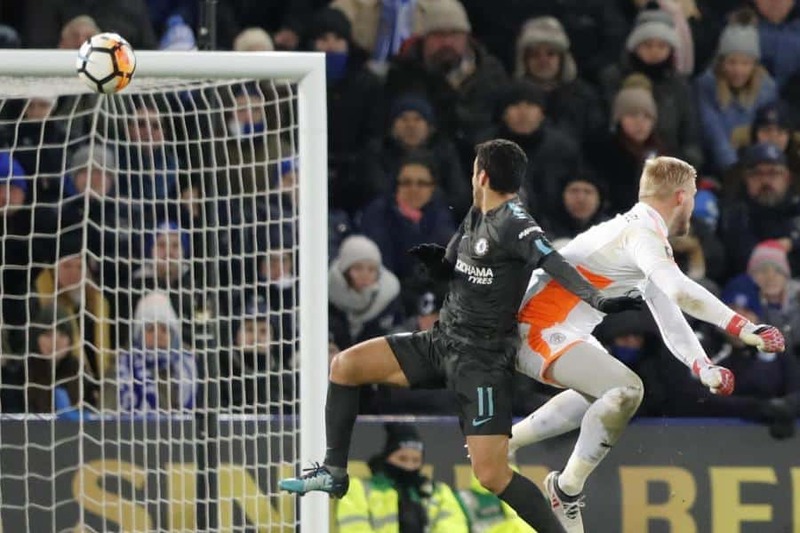 Willian was the creator of the goal, which required Morata to run at Kasper Schmeichel and side-foot into the back of the net but Leicester hit back in the second half through an in-form Jamie Vardy. Antonio Conte replaced Willian for Pedro Rodriguez, with the Spain international capitalising on Schmeichel’s decision to rush out of his goal by heading in the winner in the 105th minute. The result means Chelsea can still hope of winning a trophy this season after they were eliminated from the Champions League in midweek. And he initially seemed devoid of confidence at the King Power Stadium – driving Marcos Alonso’s cross into the hands of Schmeichel in the 27th minute before deciding to go for goal from a tight angle five minutes later – with Alonso standing unmarked nearby in the box. Morata who was initially devoid of confident, regained his confidence and composure three minutes before the break when he opened the scoring for the visitors – his first goal since Boxing Day. Conte made the interesting decision to then bring off Willian for Pedro, but the move proved inspired as the Spaniard headed Chelsea back into the lead in the 15th minute of extra-time.